When searching for a bail bond agency don't settle with the first one that you find. A quick Internet search is likely to reveal that you have many options for posting bail through an agency, so how do you know who is really going to take care of your needs and post bail quickly and affordably for your loved one. There are a few key qualities that you must search for to ensure that you get the service you and your loved one deserve. Be sure the bail bond agent you select holds the following characteristics. The most important thing is making sure the agent or agency that you select is licensed to conduct bail bond business. Using unlicensed bail bondsman could result in your loved one not being released, or you may be stuck having to pay very high fees in association with trying to post bail. Always find out what the fees are prior to signing any paperwork. For most bail bonds you shouldn't have to pay more than between 10 percent and 15 percent. While the fee will vary on a case by case basis, just make sure to always find out why it is what it is. A professional bondsman won't hike up fees without a reason. It is also important that you're given the ability to pay the fees in numerous ways that won't hurt your budget too hard. It is understandable that you likely didn't save extra money in case you need to bail someone out of jail, and a bail agency knows that. Arrests don't always happen during the 9-5 workday. 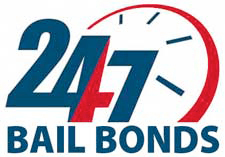 For the best service be sure your bail agency operates all day, everyday. If you need a bail bond in San Rafael or the throughout Marin County you will want to reach out to the team at 5 Star Bail Bonds. We offer professional bail bond services day or night. To learn more or to begin the Marin County bail process give us a call at (415) 479-4800 right away.